Dr Helen Marchant (Western Special Needs Dentistry) is now at Verdant Dental once a month! - Verdant Dental: The Friendliest Dentists at 1/1 326 Keilor Road Niddrie 3042! Dr Helen Marchant consulting at Verdant Dental, Keilor Road Niddrie! We would like to congratulate Dr Helen Marchant from Western Special Needs Dentistry for her first day operating from Verdant Dental! Dr Marchant started on 6/4/2018, welcoming a large number of new patients to her specialist practice. Pictured above is Dr Tim Wenas, Kaili, Cherie, Dr Helen Marchant, Elise, Sally and Dr Alpa Lodhiya. Helen is an experienced specialist dentist, with 30+ years of experience. This includes work with the Royal Dental Hospital of Melbourne, Peter MacCallum Cancer Centre and the University of Melbourne. Helen is a member of the Australian Dental Association (ADA), the Australian Society of Special Care in Dentistry (ASSCID), the Australian and New Zealand Academy of Special Needs Dentistry (ANZASND) and the Special Care Dentistry Association (SCDA), based in Chicago. Dr Helen Marchant has a strong interest in Autism Spectrum Disorder, and particularly welcomes autistic children and adults to her practice. Dr Marchant is able to cater for all varieties of special needs. Helen can perform some treatments in our clinic, with more advanced work able to be undertaken in hospital. The Western suburbs of Melbourne has long been needing a caring, involved special needs dentist and we are proud to support Dr Helen Marchant in her work! Make an appointment with Dr Marchant – Special Needs Dentist! For all appointment to see Dr Marchant, please call 1300 818 179. You can also visit her website at https://www.westernspecialneedsdentistry.com.au. Please note that Dr Helen Marchant is an independent specialist dentist. 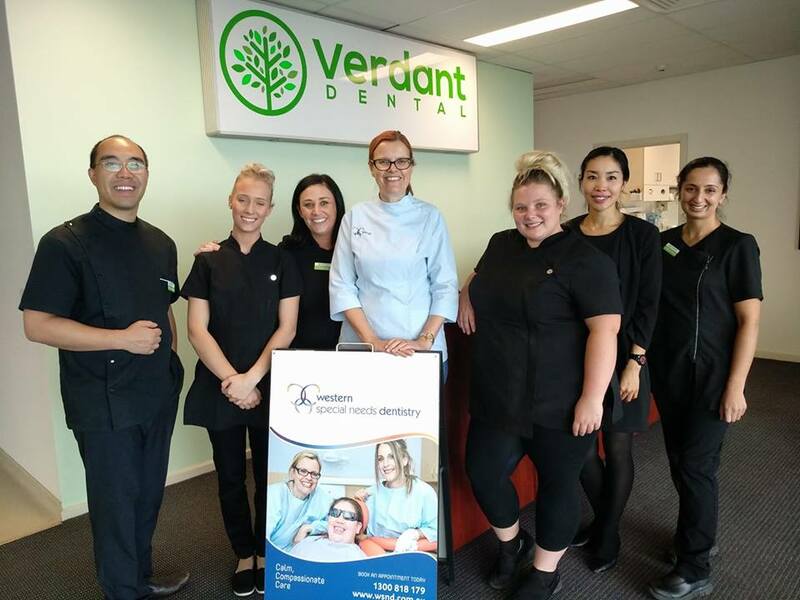 Verdant Dental has several arrangements with health funds including HCF, Australian unity, Defence Health, Peoplecare and Smile which Dr Helen Marchant is not associated with. ← Cosmetic Tooth Whitening Bleaching – available at Verdant Dental Niddrie!